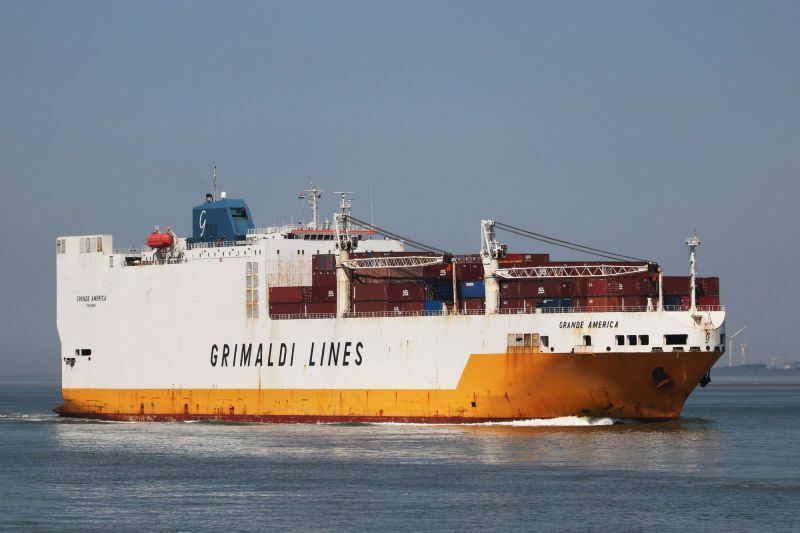 Ro-ro cargo ship GRANDE AMERICA capsized and sank on Mar 12 at around 1520 LT, in some 180 nm west of French coast. Starboard list was steadily growing, exact cause yet unknown – salvors were trying to dose fire with a lot of water, but yet, hardly enough to capsize the ship. Most probably, water ingress developed, through burned through platings, or damaged valves. Thanks Simon and Canberra97,for your comment on this photo. To think that just four days after this photo was taken of her that she would have sunk and would be lying 1526ft on the seabed of the Bay of Biscay. The last great shot from these ship. Rest in Piece Grande America! This photo has been shown 893 times since it was added to the site.